Lee Schmidt 2005 18 72 7003 30 minutes from downtown. Set in the foot-hills east of Chiang Mai, Chiangmai Highlands was designed by Lee Schmidt and gives golfers the distraction of magnificent views on every hole. Open to the public since December 2005, the course has already been rated as one of the best new courses in Asia and is among the top courses to play in Thailand. 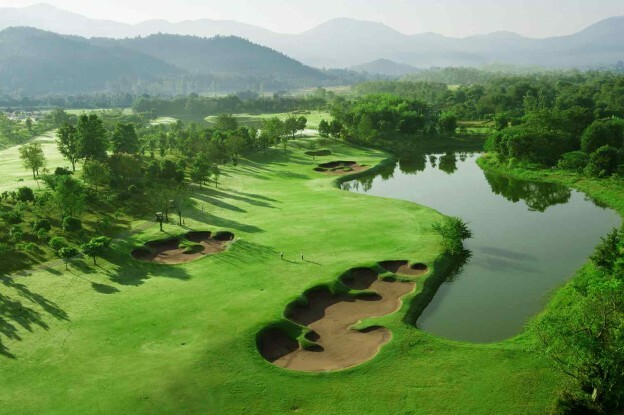 Chiangmai Highlands is exciting and challenging for golfers of any level and offers five sets of tees making it playable for everyone and as you walk down the first fairway you will feel you are beginning an amazing golfing adventure. A signature of the course is the deep green side and fairway bunkers, which are stunning to see but very punishing to errant shots. The clubhouse offers all facilities and provides relaxation both before or after your round of golf.